Over the years experience in this industry, we have been able to provide high effective Ramelteon CAS 196597-26-9. 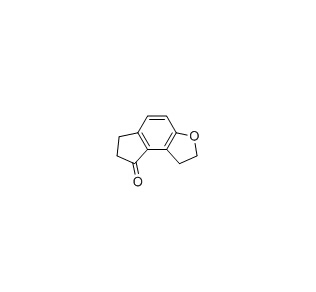 Ramelteon CAS NO 196597-26-9 is a a new class of sleep agents widely used for insomnia, especially in delayed sleep onset. Ramelteon 196597-26-9 is white powder and can soluble in water (<1.2 mg/ml), ethanol (≥50 mg/ml), DMSO (≥50 mg/ml), DMF, and methanol. We can offer fast delivery and best service. Usage: Ramelteon 196597-26 9 is the first in a new class of sleep agents that selectively binds to the MT1 and MT2 receptors in the suprachiasmatic nucleus (SCN), instead of binding to GABAA receptors. Looking for ideal 196597-78-1 Manufacturer & supplier ? We have a wide selection at great prices to help you get creative. All the CAS 196597-78-1 are quality guaranteed. We are China Origin Factory of CAS NO 196597-78-1. If you have any question, please feel free to contact us.